Signed prints, Limited editions, original paintings by Russell Flint..
Over 500 prints on display.. 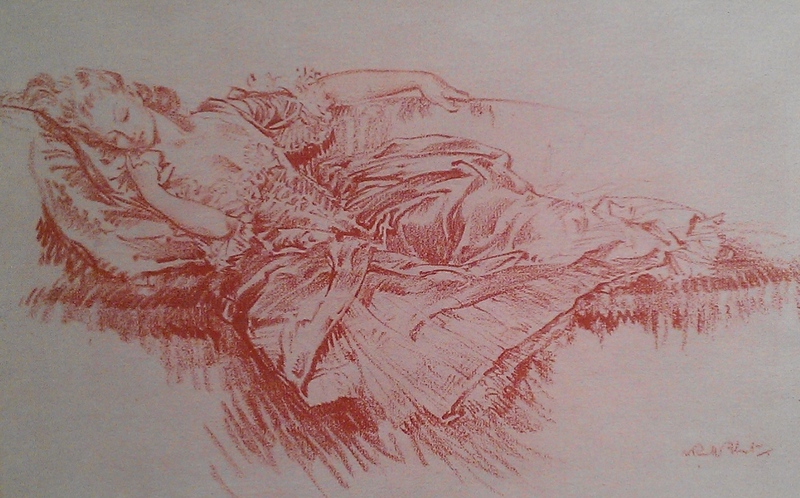 This drawing is of particular significance and its provenance quite a rarity. 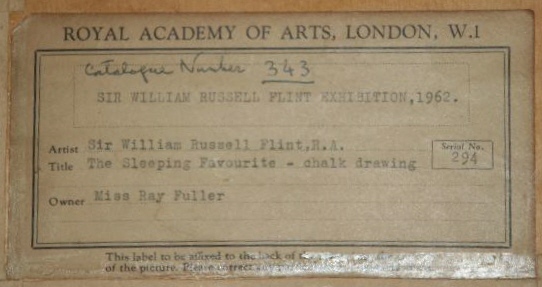 The drawing was exhibited in the RoyalAcademy, London in 1962.